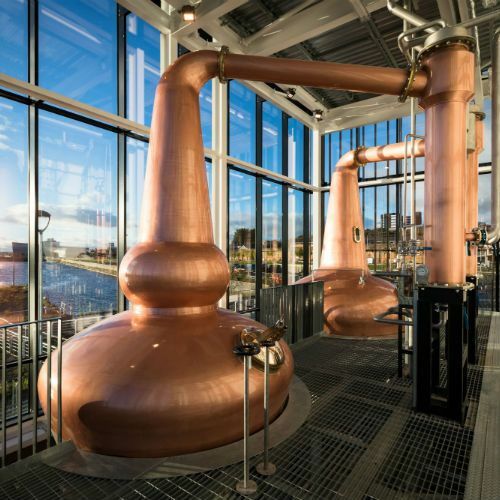 Glasgow’s stills are flowing again at Clydeside Single Malt Scotch Whisky Distillery. Come down to the Queen’s Dock and watch our craftsmen distil pure new make spirit by hand, the time-honoured way. You’ll find more than you’d expect, with so many of Scotland’s finest single malts to enjoy in our Whisky Shop and Whisky Tasting. You can even immerse yourself in Glasgow history as you wander around our fascinating Dockside Story. The gift of choice – a monetary gift voucher can be used towards any of the tours or products available at the Clydeside Distillery and Shop. Please note that the full voucher value must be used in one transaction. No change will be given. For more information visit www.theclydeside.com. To book a tour please call 0141 2121 401 or email info@theclydeside.com with your voucher barcode.